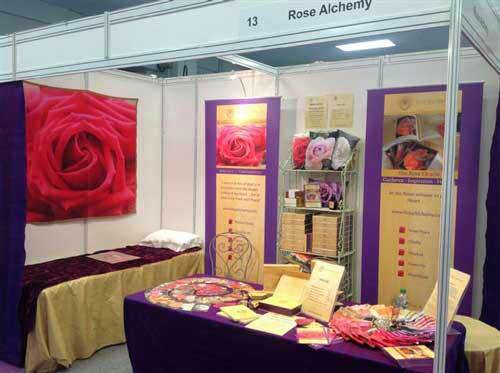 An introduction to the Rose Alchemy classes and products. By Sandy Humby. 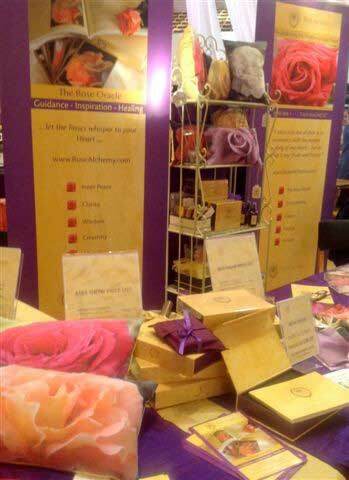 The journey to reveal the Golden Heart of the Rose… each one of us has a story that sets us off on the journey to heal ourselves and continue to open to Love. The 5 parts of the Rose Oracle for healing the heart. 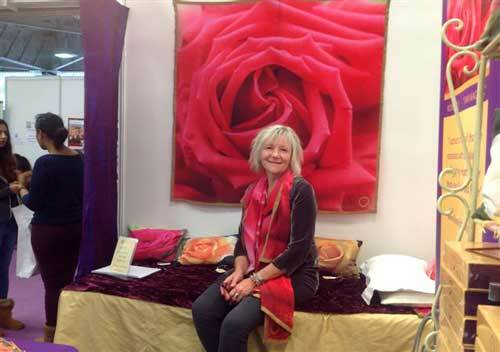 Excerpt from Sandy’s talk about Rose Alchemy at Mind Body Soul, Olympia, London October 2014 – The Rose Oracle for the Heart. An introduction to the Rose Oracle. By Sandy Humby. 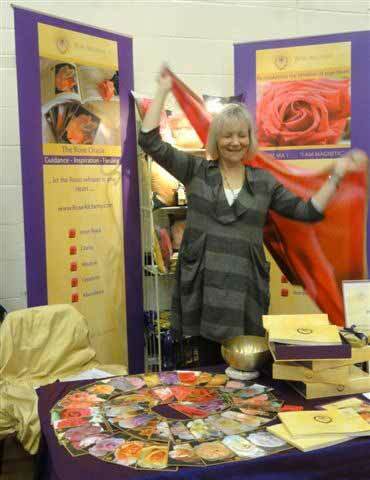 The Holistic Evening Expo was delighted to welcome Sandra Marie Humby from the UK. 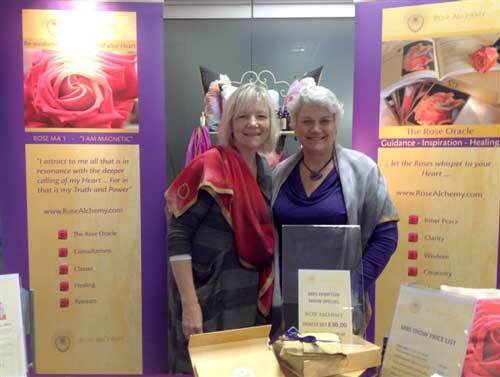 Sandra shared her story of the Roses and the development of the Rose Alchemy work to a Packed room. 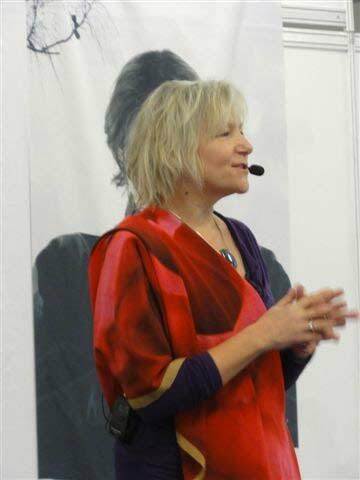 Sandy Humby co-creator of the book ‘Born For This’ shares her story. 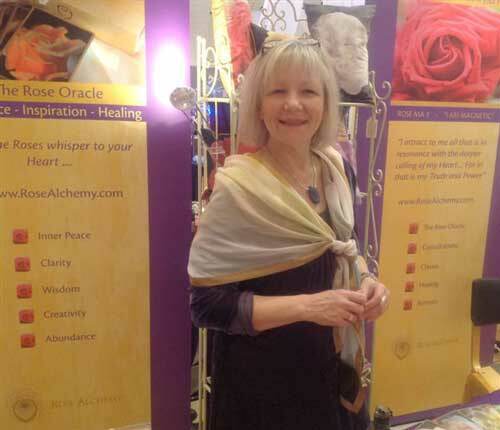 Rose Alchemy – Rose Oracle for the Heart is a complete set of 45 Rose energy cards and full color book – this is Rose Ma 1 Crimson Glory filmed at Mottisfont Abbey, Romsey, Hampshire… she speaks of the Magnetic quality of the Feminine. Rose Alchemy – Rose Angel 4 – The Pilgrim, a David Austin Rose filmed at Mottisfont Abbey, Romsey Hampshire…. she speaks of the healing balm of Forgiveness. 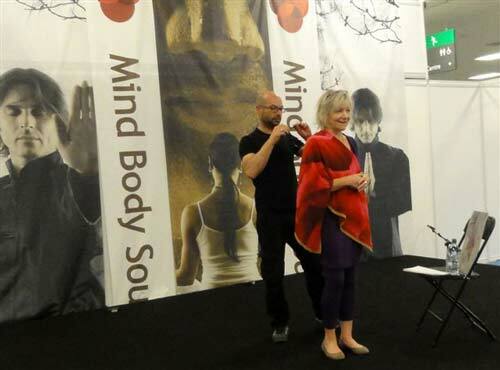 Energy grids and Earth portals and the whispered wisdom of the Horse… Sandy Humby explores how filtering natural land energies can create an ease and rebalancing for our animals as well as ourselves.